1. In a mixer, combine cream, vanilla extract and honey then whip until stiff peaks. 2. 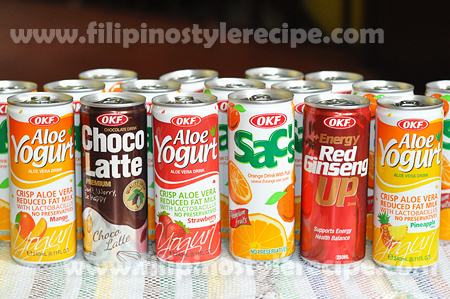 Add chopped mango and mix until just blended. 1. 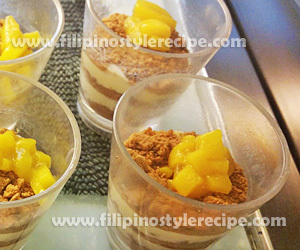 In a serving glass, add a layer of crushed graham then a layer of mango-cream mixture. 2. 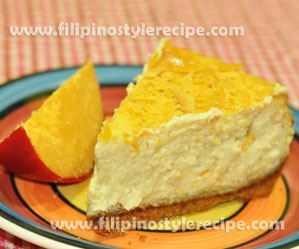 Add another layer of crushed graham then another layer of mango-cream mixture. 3. Add another layer of crushed graham then top with diced mango. 4. Repeat the procedure for the remaining glasses. 5. Refrigerate for 45 minutes before serving. 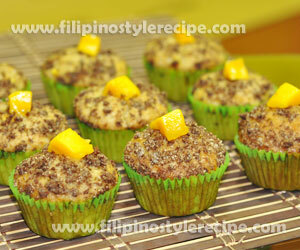 Filipino Style Recipe: Mango Muffins is my Filipino version of popular Blueberry Muffin. The muffins are moist and full of flavor. You can definitely enjoy summer in every bite. 1. In a large bowl, combine the flour, sugar, salt, and baking soda. 2. In a medium bowl, combine the milk and buttermilk. Add the eggs and vanilla and stir until just combined. 3. Pour the milk mixture into the flour mixture. Mix until just combined. Do not over mix. 4. Fold the mango into the batter. 1. To make the streusel, combine the flour, brown sugar, cinnamon and butter until you form coarse crumbs. Sprinkle on top of each muffin. 1. Line the muffin pan with muffin cups. Fill each muffin cup with the batter. 2. Bake in preheated oven at 350 Fahrenheit for 20-25 minutes. 3. Remove from the oven and let it cool. 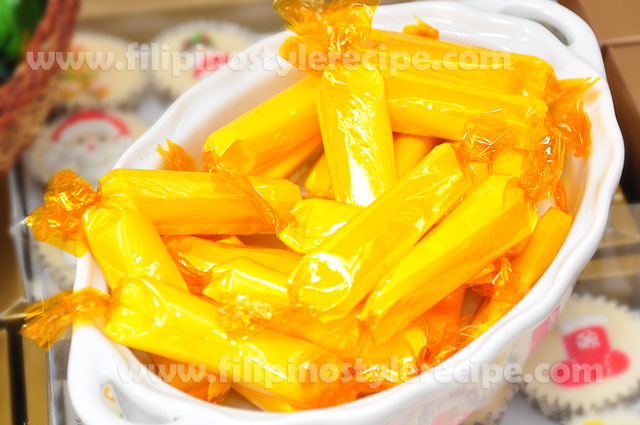 Filipino Style Recipe: Pastillas is one of the popular sweet delicacy in the Philippines. 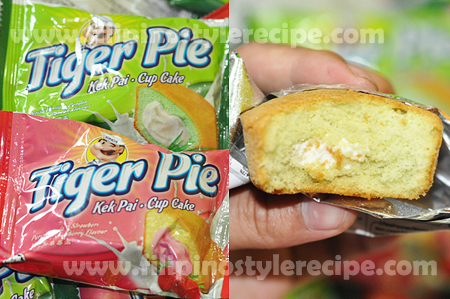 This delicacy is made of powdered milk and condensed milk mixed together until well blended. Mold into desired shapes then roll in granulated sugar. 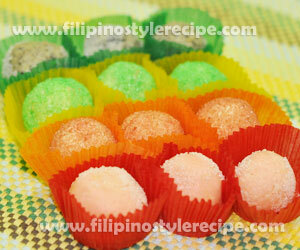 Pastillas can come in a variety of flavors (Pandan, Melon, Strawberry or Cookies and Cream). 1. In a mixing bowl, pour condensed milk and flavoring. Add powdered milk gradually then mix until well blended then set aside for 30 minutes. 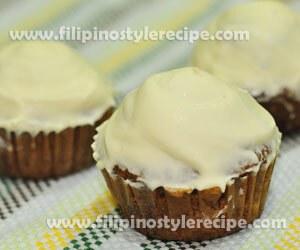 Filipino Style Recipe: Carrot Muffin is a delicious pastry that has a moist, soft, and just the right sweetness. While frosting is sweet and creamy which makes the muffins look like from a gourmet bakery. 1. In a large mixing bowl, beat together the eggs, vegetable oil, white sugar, and vanilla. 2. In a separate bowl, combine the flour, baking soda, baking powder, cinnamon, and salt. 3. Combine flour mixture, egg mixture and grated carrots then mix until well blended. 1. In a muffin pan lined with paper cups, fill each cups 2/3 full of the mixture. 2. Cook into a preheated oven over 350 Fahrenheit for 30-40 minutes or until toothpick inserted on the middle comes out clean. Remove from oven and let it cool. 1. For the frosting, combine the butter cream cheese, powdered sugar, and vanilla and beat until smooth and creamy. 2. Frost the mixture into muffins and refrigerate for at least 3 hours. 1. For grating the carrots, use the bigger side of the grater (the one usually used for the cheese). 2. Do not try to open the oven until it is almost done (around 3/4 of the cooking time). 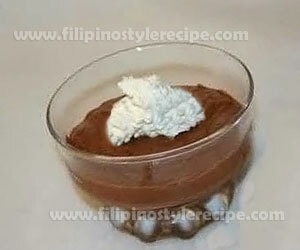 Filipino Style Recipe: Chocolate Mousse is a popular chocolate dessert made of melted chocolate and milk incorporate together with gelatin then refrigerate until set. 1. In a sauce pan, dissolved gelatin in water over low heat. Keep stirring. 2. Add evaporated milk and sugar then continue stirring until steaming hot. Do not boil. 1. In a large bowl, combine chocolate morsels, vanilla and milk mixture then mix until blended. I used hand mixer. 2. 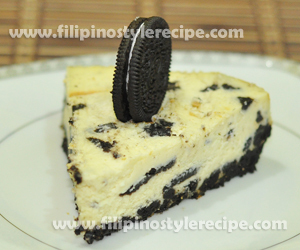 Pour the mixture into molds then refrigerate for at least 3 hours or until set. 3. 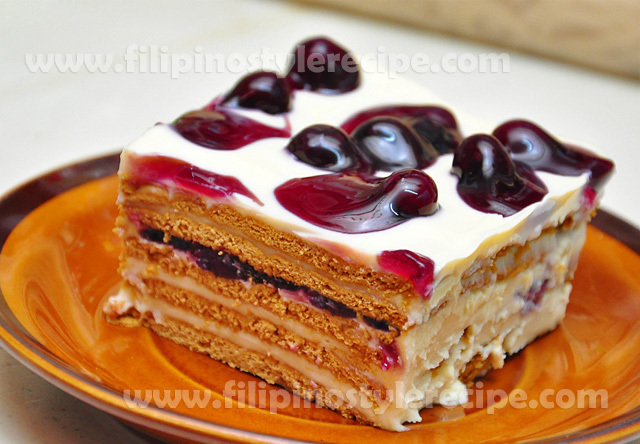 Top with whipped cream and cherries then serve chilled. Enjoy! 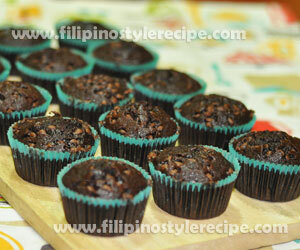 Filipino Style Recipe: Triple Chocolate Cupcakes is another mouth-watering pastry made of chocolate cake, chocolate pudding and chocolate chips. 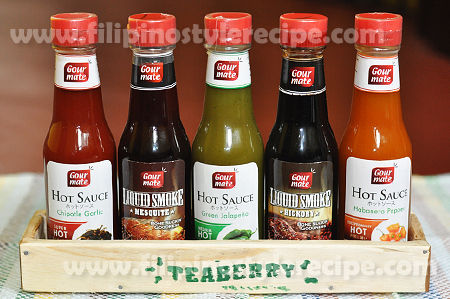 This can be served during breakfast together with coffee or during mid-afternoon snack. 1. In a large mixing bowl, combine the cake mix, chocolate pudding mix, sour cream, vanilla, and eggs then mix together. 1. Put cupcake liners in muffin pan then pour the mixture until almost full. 2. Top with the remaining chocolate chips then bake in preheated oven at 350 degrees Fahrenheit for 18-20 minutes.